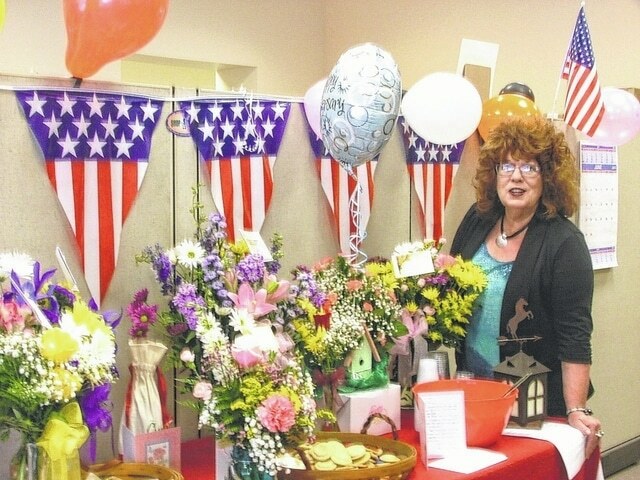 Sharon Hughes, advertising manager at The Times-Gazette and Highland County Shopper, is shown Wednesday with some of the flowers, gifts and cards she received Wednesday during an open house at The Times-Gazette. Sharon is celebrating 30 years with the newspaper. She thanked everyone who stopped in or called and emailed to congratulate her, and said she is looking forward to celebrating a 40-year anniversary a decade from now.